At Vèrtex Comunicació we are an audiovisual production company specialised in the creation of corporate, institutional and artistic videos. We experiment audiovisual language with the latest generation equipments to create professional videos that transmit unforgettable visual stories that allow you to connect directly with your target audiences. We take care of the entire process: idea, script, location scouting, filming, editing, and transcription and subtitling into more than 20 languages. Did you know that 9 out of 10 people watch the corporate videos of the brands they follow? And that 65% of users end up visiting the website after watching the video? Audiovisual content is one of the most consumed, so it must be attractive and quality. 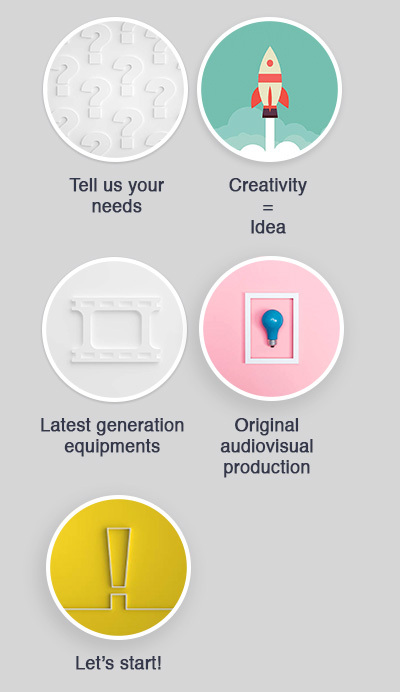 What can you achieve with professional audiovisual material? Going viral, build confidence, attract new users, improve customer loyalty, increase sales, etc. If you need professional audiovisual material, Vèrtex Comunicació is your audiovisual production company. We will capture your essence and transform it into powerful images.